It has to be about 14 years since I passed my driving test. In that time the test has changed significantly. 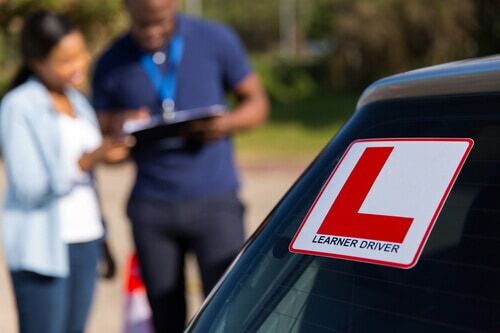 Now learner drivers find themselves demonstrating and pointing out car maintenance checks at the start of their driving test. I’m afraid it’s not just about the emergency stop, the three point turn or parallel parking anymore. I still struggle with that parallel parking thing! The test runs deeper into car care knowledge to help beginners keep their car safe for the road. As an “older” driver I like to help beginners on their car maintenance checks. Before I could drive I always had an interest in cars, and learnt everything from my dad. He taught me how to change wiper blades, how to change the light bulbs, check oil, coolant and brake fluid levels and how to change a tyre. Funny thing nowadays most new cars don’t have spare tyres anymore, mine doesn’t! Then again the roads are extremely busy now so it isn’t safe anymore to change a tyre by the roadside. It’s advised to call for help, like from an authentic tyre fitting service in Dundee at the Fife Autocentre. So what are the essential car maintenance checks that beginners should know? Car servicing and maintenance – It’s recommended you put your car in for a service as a minium each year. More often if you do high mileage. An oil change is completed in this service which helps to protect the engine. The body work and tyres are also checked over for safety. Simpler checks such as washer fluid level and wiper blade condition you can do yourself. Tyre pressure check – Your car’s tyres are one of the most important parts on a car. A tyre is the only contact you have with the ground, so they must be in a good condition at all times. You can check your car’s manual for the correct pressure and the tread depth. It must be no less than 1.6mm and the tread is in a continuous band around the central three quarters of the tyre. Battery and exhaust – In the Winter your battery will need more pulling power to start the engine in the cold weather, so keep an eye on its condition. You don’t want to be stranded anywhere. Exhausts are one part of the car that seem to corrode faster than others. I’ve had to replace a few over the years. If you don’t check them ever so often they can fall off and this is a danger to you and other road users. 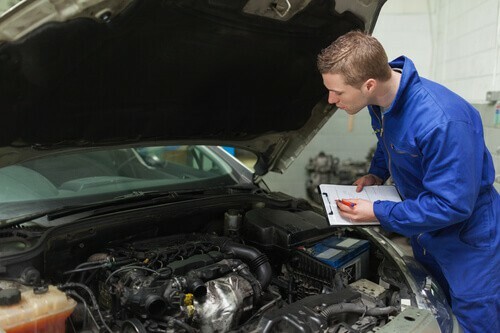 MOT test – Every car over 3 years old will need an MOT test each year to check the condition and safety of the car. All of these snippets of advice are there to protect you and other road users. You could also end up with costly car repair bills if you don’t keep up with your cars maintenance. You may like my memories on buying my first car. I’m terrible at checking the car over. The oil warning light was on for over a week before I realised I should top the oil up!